MTN interim executive chairman Phuthuma Nhleko has defended the R23,7m golden handshake given to former CEO Sifiso Dabengwa, who resigned in November 2015 following a US$5,2bn fine being imposed on the telecommunications group’s Nigerian subsidiary. Speaking at MTN’s 21st annual general meeting of shareholders on Wednesday, Nhleko said the package paid to Dabengwa was in line with corporate governance requirements. 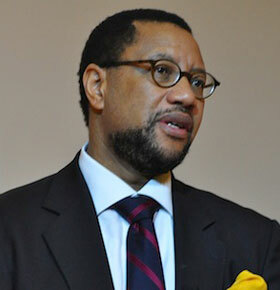 Dabengwa resigned from MTN on 9 November 2015, soon after the Nigerian Communications Commission imposed the record-setting fine on MTN Nigeria for failing to disconnect more than 5m unregistered Sim cards. The fine was later reduced to $3,9bn. 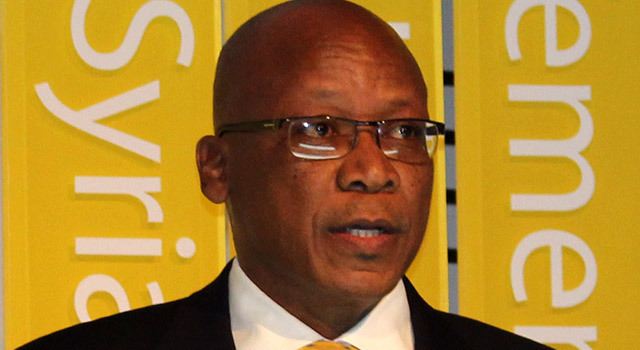 In the group’s 2015 annual report, published in April, MTN revealed that it had paid Dabengwa R40,6m in the 12-month period to 31 December 2015. This was made up of R23,7m for “compensation for loss of office”, along with a salary of R8,4m, post-employment benefits of R1,1m, other benefits of R2,9m and share gains of R4,5m. Nhleko, himself a former MTN CEO, took the reins on an interim basis for six months following Dabengwa’s departure. His tenure has been extended until a full-time replacement can be found, which is now expected before the end of June. Nhleko hinted that a suitable candidate has been found. He said that on remuneration, MTN will always “try to abide by” the King III Report on corporate governance. In response to a question from an aggrieved shareholder, who criticised the payout to Dabengwa, Nhleko said it could be defended based on three things. Firstly, he said the complexities of the Sim card registration process in Nigeria should not be underestimated. “While there is acceptance that there are certain things MTN could have done differently … one cannot underestimate the degree of complexity of what we are being asked to do [in Nigeria],” he said. “There is no meaningful national database [in Nigeria, so]for us to register 65m people is a pretty major exercise. Those 5m [unregistered Sim cards]did not qualify. It’s quite different to Rica (South Africa’s Sim card registration legislation),” he said. Secondly, MTN had “certain contractual obligations” to Dabengwa that it had to meet. Thirdly, Nhleko said one has to take a “different perspective” for someone who has been with the company for a short period of time and someone who has contributed over 17 years, as Dabengwa had done. It all comes down to “If we pay my predecessor for his incompetence and stupidity, then when I’m kicked out, I’ll get paid for mine.” And so the wheel turns. What has BEE done for you? Well you can stuff up at a company and then resign and still get a wonder outbonus. “not in the company’s or shareholders’ interests to have a CEO of longstanding involvement … be accessible to a competitor. A restraint was very much in order.” – I don’t know, after the screw up under his watch I would think MTN would welcome him going to a competitor. Under his watch happened one of the biggest screw ups ever in global telecoms history. The size of the fine is considerably larger than the $3.8 billion fraud of the Wordcom scandal. He then gets a R24 mil golden handshake and now another company appoints him on their board? ?